that once linked the towns and villages of our county. It was a lovely bright morning ideal for cycling, we parked the car at Reepham station where it is possible if you prefer to hire a cycle for the day, but we had brought our own trusty steeds which we managed to accommodate in the back of our old Saab 900, after unloading our cycles we carried out a check on our single back pack, (which we were to take turns carrying). Yes it was all there Crisps, Fruit, Sweets, Drinks, and most importantly "The Puncture Repair Kit", we were ready to go. 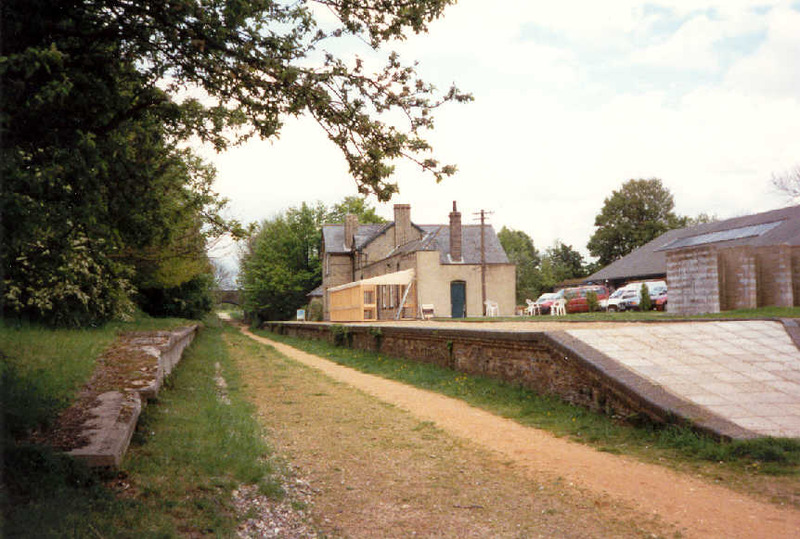 But before we leave a brief history of Reepham station and the line which once served it. The first leg of our journey follows the original path of the Wroxham to County School branch proposed by the East Norfolk Railway in 1878. 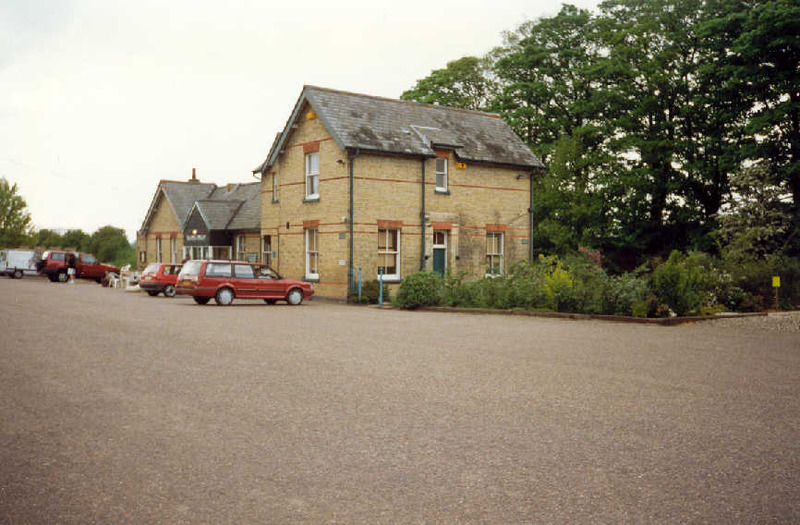 Principally as a ‘blocking line’ to try to discourage rival companies who had interests in the district, It was opened in stages: from Wroxham to Buxton Lamas in 1879, to Cawston in 1880, to Reepham in 1881 and County School in 1882. 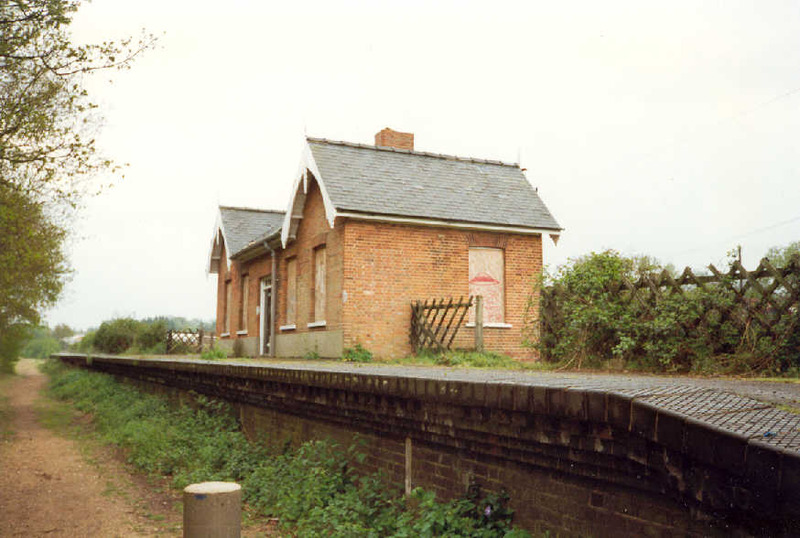 As such it failed, and the line’s value depreciated only three years later when the Eastern & Midlands Railway (later the M&GN) reached Aylsham (North). Initially there were up to nine trains each way daily on the GER line but within a few years this had fell to six, the line was hardly a success although freight traffic was occasionally heavy with cattle and later sugar beet from intermediate stations at Cawston and Reepham. 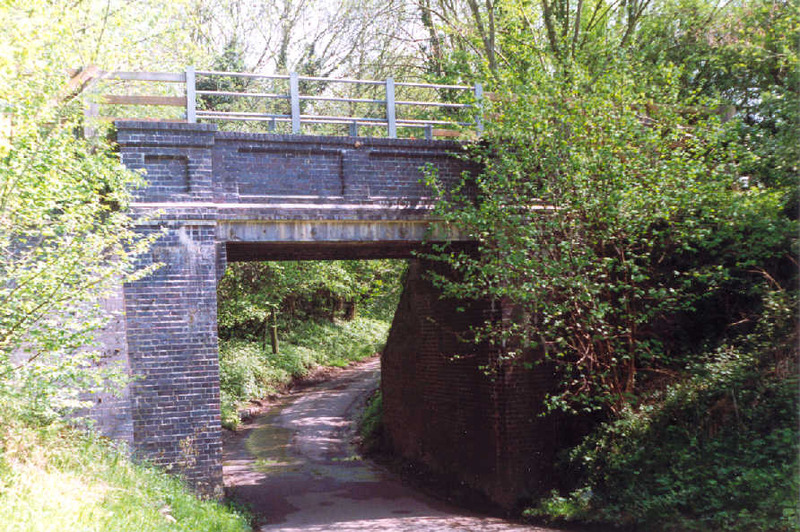 The Wroxham to County School line survived until 15th September 1952 when it was closed between Reepham and County School. Eventual survival of the eastern section of the line was dependent on a link opened on 12th September 1960 known as the Themblethorpe curve, built between the former GER and M&GN lines close to the village of the same name. The curve (which we will encounter on our journey) had the effect of reducing the round journey from Norwich Thorpe to Norwich City stations from 64 to 40 miles with the journey via Cromer, Holt and Melton Constable no longer necessary. Norwich City closed to passengers on 2nd March 1959 but continued for freight purposes until almost 10 years later. 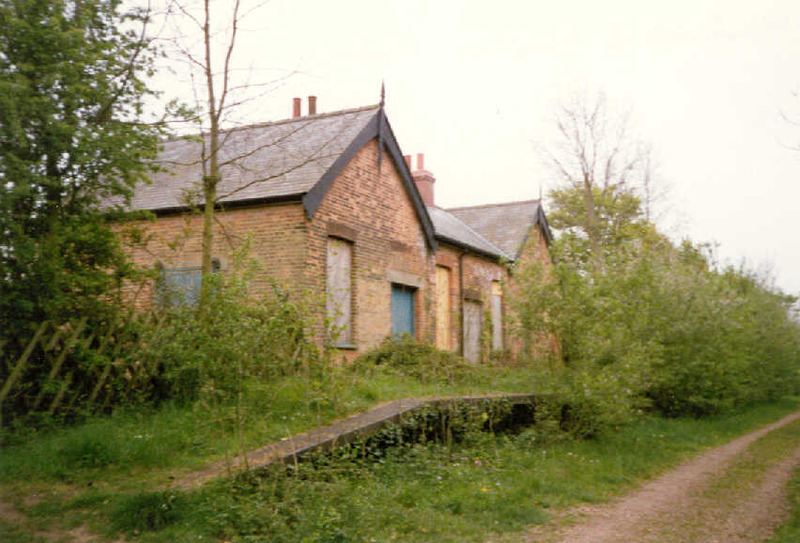 When it closed on 3rd February 1969 (the site became one of the City’s Industrial Estate’s), the line was cut back to Lenwade where a ‘One Train’ single line light railway continued until 3rd January 1983 to serve the Anglian cement and Concrete works. The whole line was finely taken up in the summer of 1984. At Reepham remains of the railway are still very much in evidence the station building and large goods shed are still intact and are used as business premises, a pine furniture retailer operates from the old goods shed and from the station building the cycle hire, museum and coffee and gift shop. 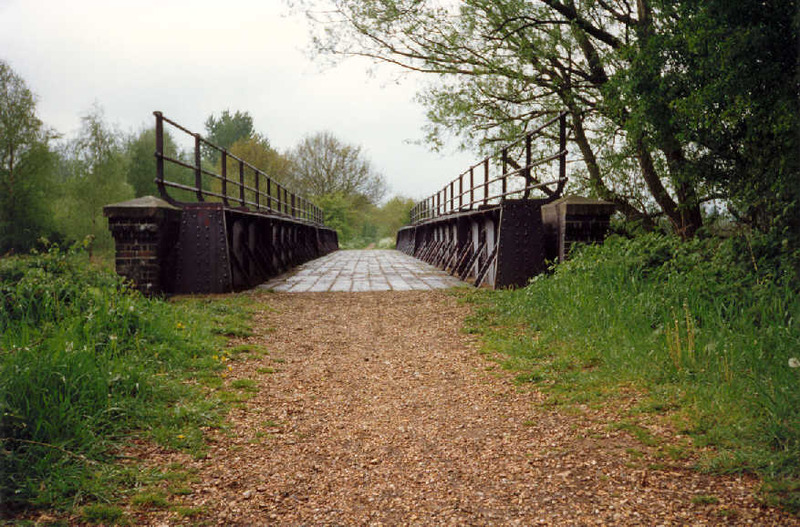 The up and down platforms and the road bridge to the East of the station are also intact, although the road bridge which once carried the B1145 Reepham to Cawston road is now unused, the road was re-routed in an improvement scheme. We set off about 10.20 am in a westerly direction, after cycling for about 10 minutes we stopped to take in the view, the one thing which was most noticeable was the total piece and quiet, miles from the road system and the sound of traffic, I remember thinking we must do this more often it really is worth making the effort. We set off again and soon reached Themblethorpe curve, as we negotiate the curve, leaving the GER track bed on our right we observe the first signs of railway architecture on the M&GN route, this was the Themblethorpe gate house (No. 21). After almost a complete U - turn we find ourselves traveling along the old M&GN track bed (which ran from Melton Constable to Norwich City, built by the Lynn and Fakenham Railway and opened in 1862), a little bumpier than the previous section nothing a good mountain bike wouldn’t put right or maybe a sprung seat. On arrival at the site of Whitwell & Reepham station we paused for a while to stretch our legs and give our bums a rest. We explored the whole area which was once occupied by the railway, all that remains today is the station building, both the up and down platforms and the goods shed all of which are overgrown as nature reclaims the land, there was however evidence that the site may have been used for some other purpose since the disappearance of the railway, for instance a large area which was once occupied by the station approach and sidings had at some time been used as a car park which the entrance to is now blocked off by two very large concrete objects, a brochure that we have promoting the Marriott Way dated 1996 shows it as a carpark for both the Marriott Way and the Whitwell Community Woodland ?. 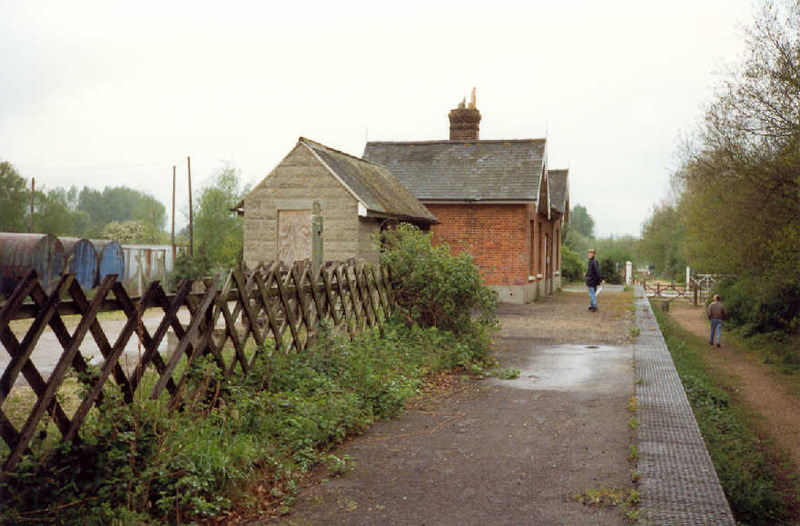 We thought it might be interesting to make comparisons with our collection of archive photographs so James took some photographs of the disused station buildings before we continued our journey. 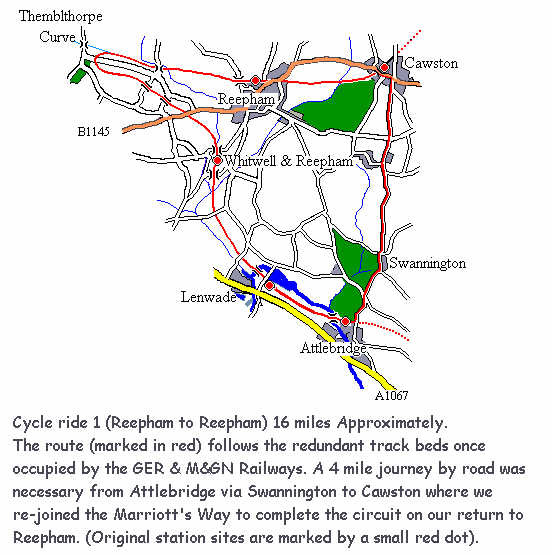 We eagerly cycled on toward Lenwade passing on the way a second gate house (No.22) in Heath lane Lenwade, like No. 21 at Themblethorpe it had been rebuilt in 1923 to replace the original wooden structure erected in 1882 by Wilkinson & Jarvis for the Lynn & Fakenham Railway, No.22 is also occupied and has at some stage been modestly extended, looking very tidy and well cared for. 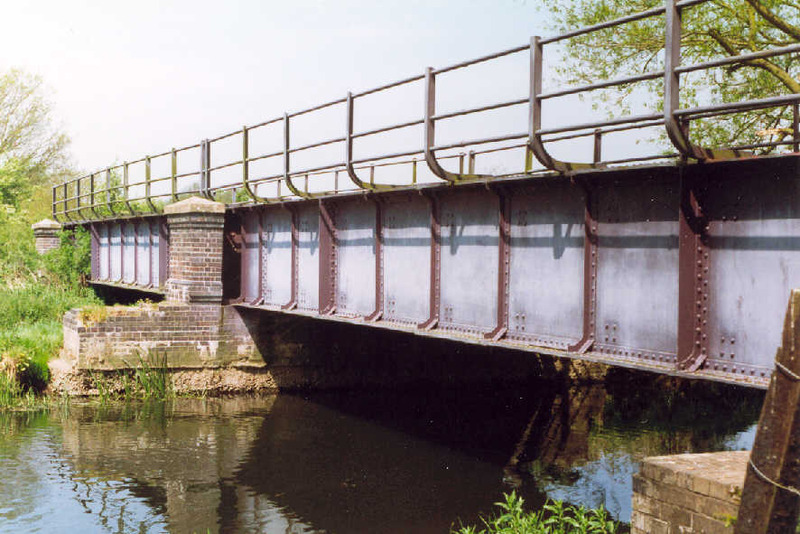 Wilkinson & Jarvis were the main contractors during the building of the line for the Lynn Fakenham Railway Company and were responsible for many similar structures found on parts of the M&GN. As we approach Lenwade we cross the river Wensum by means of a girder bridge No.261 before running into the station. 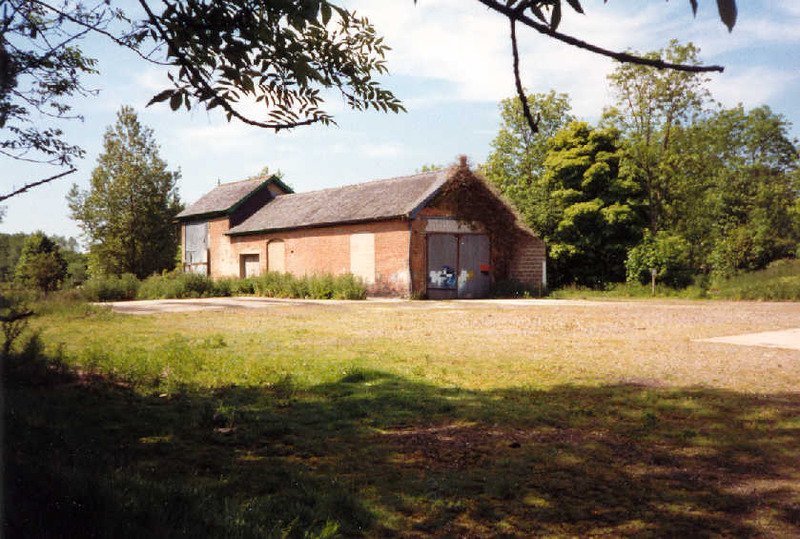 The former Whitwell & Reepham station is set to enjoy a new lease of life. The station complex has recently been purchased by local railway enthusiast who plans to open the station to the public. The former M&GN station once restored will include a museum, tea room, engine shed and signal box. these images illustrate the run down condition of the then ‘freight-only line’ as final closure approaches. we had now cycled some 9 ¼ miles . OK, fully refreshed we were ready to push on. The short ride to ‘Station Road‘ brought us in view of the old Attlebridge station used now as a private dwelling and very nicely maintained, the single platform still remains along with its concrete post and steel pipe fencing but the building is much changed, still an H plan in the stile of the original Wilkinson & Jarvis small pavilion, but modified to two story and enlarged. 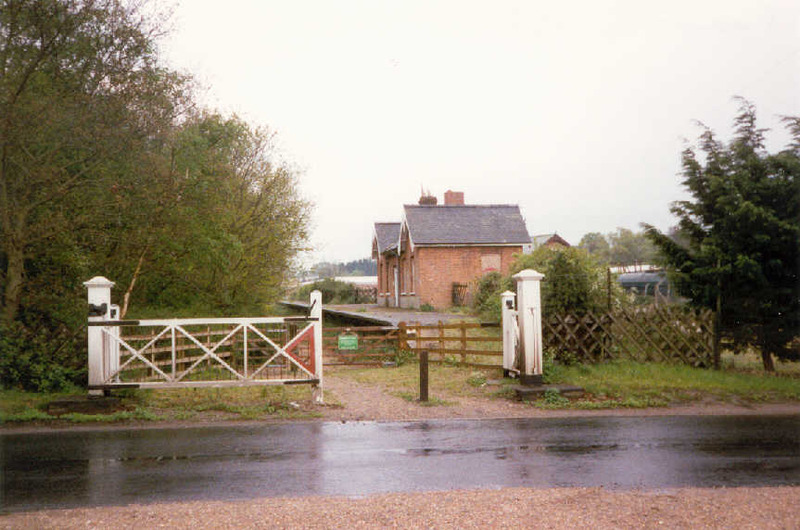 One of the old level crossing gates could be seen embedded in the perimeter hedge of the premises where the line once crossed in Station Road. Time to move on . As we leave the Marriott Way the next 4 ¼ miles or so we travel along the old familiar tarmac of the public highway while on route to Cawston, passing through the picturesque village of Swannington with its old Tudor style houses and thatched cottages. On arrival at Cawston we searched out the old GER station now a private house, looking very well cared for and retaining the style of the original. ( 3 hours and 15 ¾ miles after we left to be precise ).